I haven't tried that many Lush products before because there are so many and a few seem a bit too expensive for what you get. I have had one of their facemasks before and it was really good, it helped calm down spots and made my face really soft. 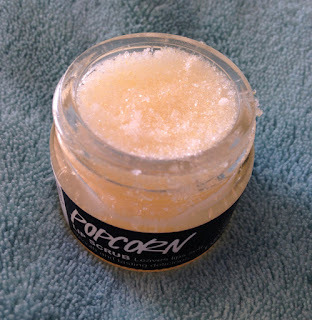 I saw the Lush lip scrub on Instagram by a few beauty bloggers and was a little bit intrigued, I then looked at a few blogger reviews and knew I had to get my hands on one. 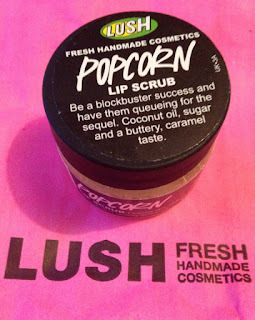 There were four lip scrubs available: Bubblegum, Popcorn, Mint Julips and Santa's. I'm not a big fan of mint products so I didn't go for that and the Bubblegum scent was a bit too sickly for my liking. 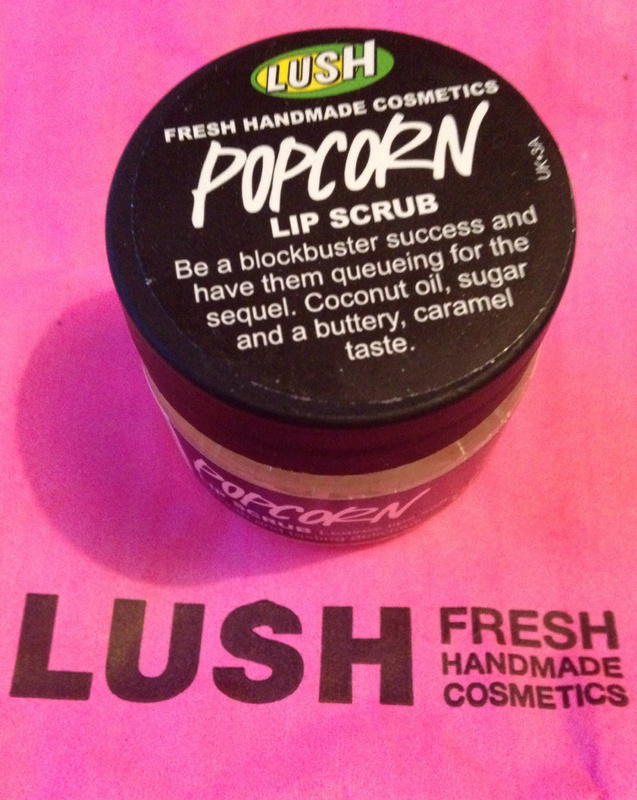 I was torn between the Popcorn and Santa's lip scrub, both smelt incredible!! I went with Popcorn in the end as I liked the fragrance more and it was slightly sweeter. 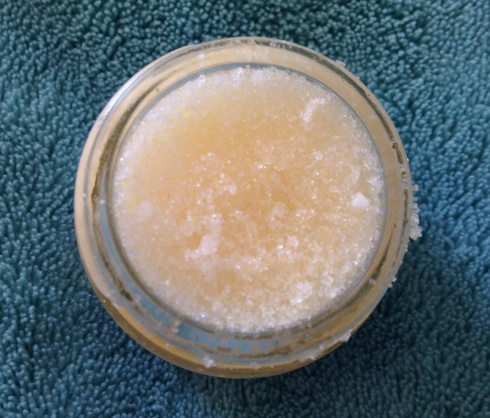 The good thing about the lip scrub is that after you have rubbed it onto your lips, you can lick it off as it is made up of edible ingredients. It contains Castor Sugar, Jojoba Oil, Sea Salt, Polenta, Coconut Oil, Popping Candy and Flavour. No messy washing it off or anything, simply lick it off. My lips feel so soft after using it and it is really good at getting rid of dead skin! I also think the pot will last a long time as you don't actually use that much when applying it. I am so glad I bought the lip scrub and might even go back to pick up the Santa one!! :) I looked at quite a few of the bath bombs and some of them have a great scent, but others are way too strong for my liking! I loved The Comforter (berry) and might get it once I am back home, as unfortunately I do not have a bath here.